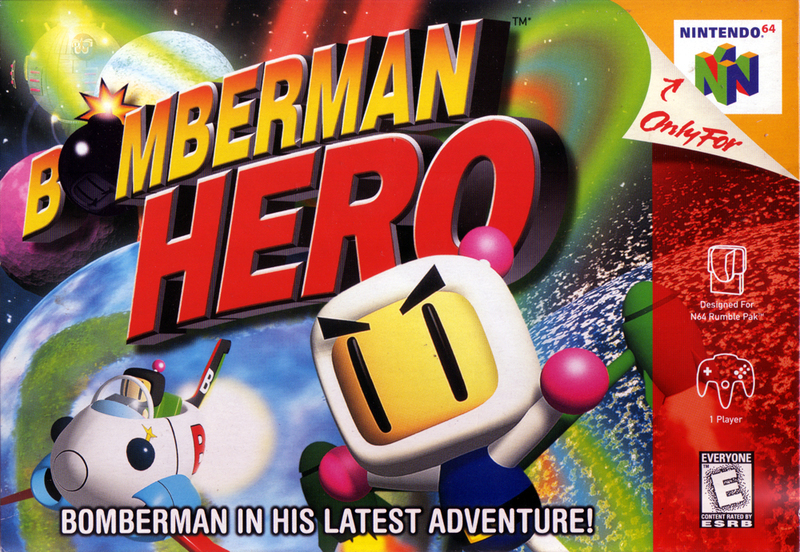 Краткое описание: Bomberman's latest adventure takes him across the galaxy! 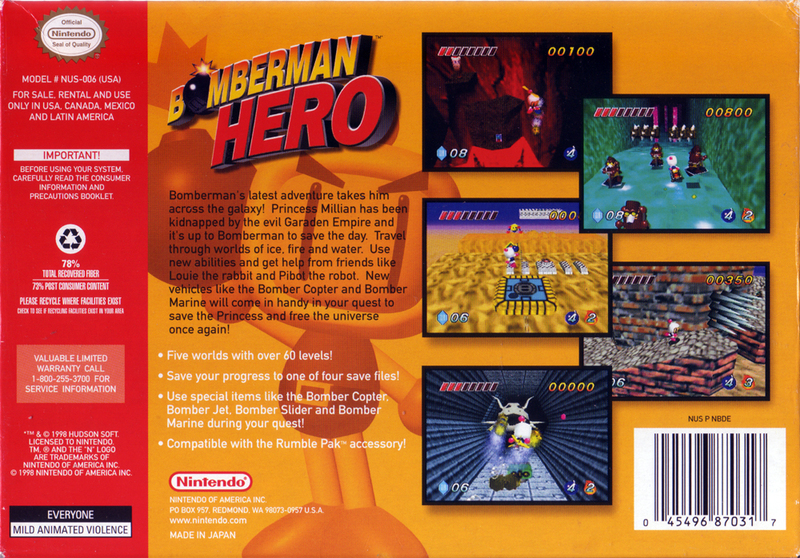 Princess Millian has been kidnapped by the evil Garaden Empire and it's up to Bomberman to save the day. Travel through worlds of ice, fire and water. 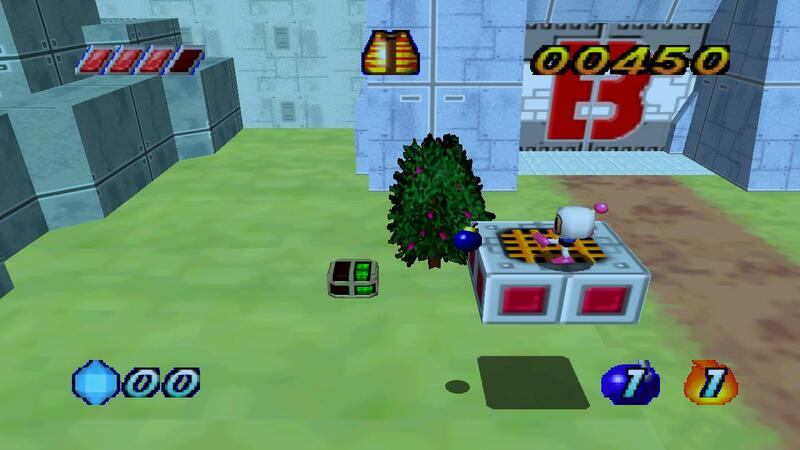 Use new abilities and get help from friends like Louie the rabbit and Pibol the robot. New vehicles like the Bomber Copter and Bomber Marine will come in handy in your quest to save the Princess and free the universe once again! 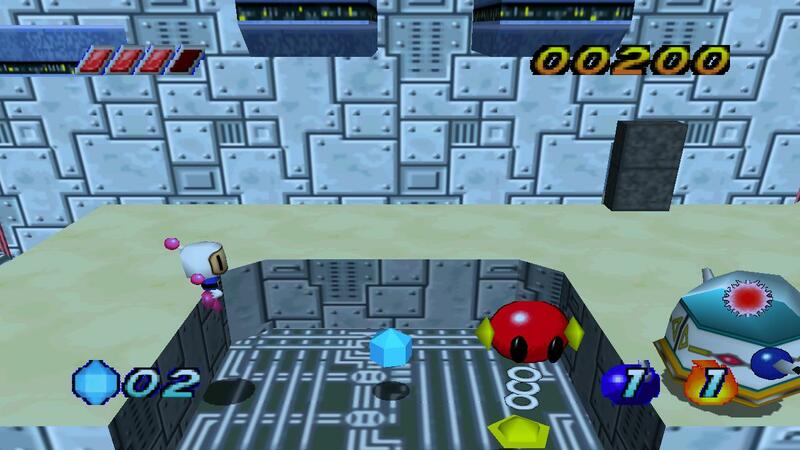 Bomberman's latest adventure takes him across the galaxy! 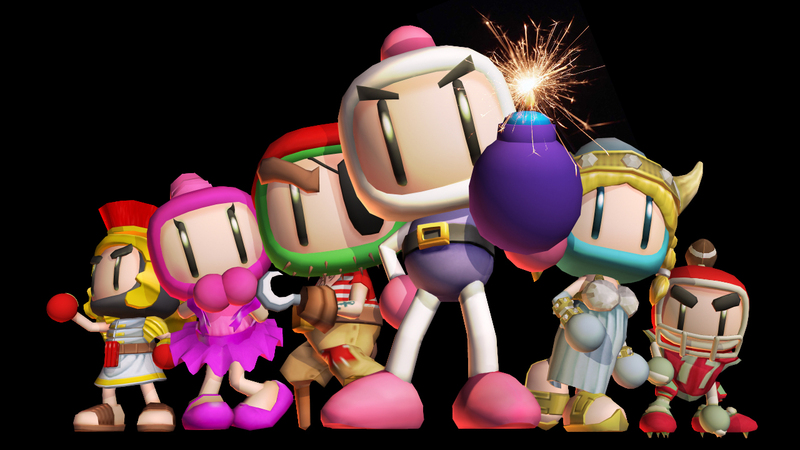 Princess Millian has been kidnapped by the evil Garaden Empire and it's up to Bomberman to save the day. Travel through worlds of ice, fire and water. Use new abilities and get help from friends like Louie the rabbit and Pibol the robot. New vehicles like the Bomber Copter and Bomber Marine will come in handy in your quest to save the Princess and free the universe once again!